Pink Pralines are pink sugar-coated almonds, and a speciality from the city of Lyon, also known as the French capital of gastronomy. These caramelised almonds can be eaten as they are or used in desserts. The most famous one being the Pink Praline Tart or “Tarte aux pralines roses”, a crunchy and gooey sweet creation! Another well-known praline-based speciality is the Pink Praline Brioche, or “Brioche à la praline”. Here is our take on the Pink Praline Brioche. It is soft and airy on the inside, with a thin crispy crust on the outside. It is so good and so pretty too! Dissolve dry yeast in lukewarm milk for about 5 minutes. In a stand mixer fitted with the hook attachment (or by hand), mix flour, salt, sugar, butter, crème fraiche and yeast-milk mixture. Incorporate eggs and orange blossom water and mix until perfectly combined. Cover with a damp tea towel and let it rest in a warm place (next to a heater for example), until the dough rises and doubles in size. This should take at least 1 hour. Butter and flour a baking pan – you could use a nice baking pan like a kugelhopf or a bundt to get a beautiful shape! 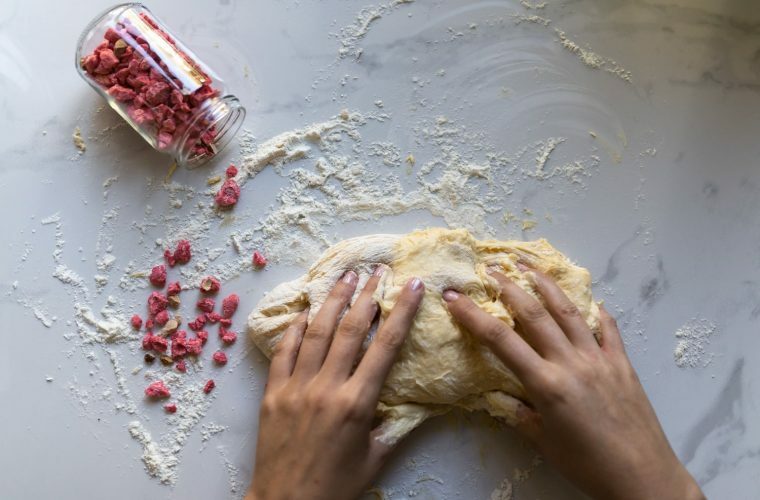 Work the dough again for a few minutes, using a wooden spatula or your stand mixer, and incorporate the pink pralines then transfer the dough evenly into the baking pan. Cover with a damp tea towel and let it rise again for 1 hour in a warm place. Bake at 180°C (360 F) for 30 minutes, then at 160°C (320 F) for 10 minutes. A knife should come out clean but still moist. 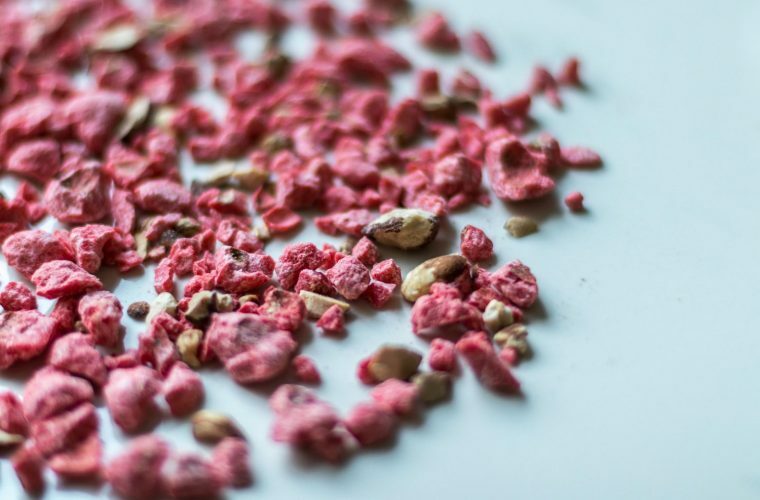 Pink Pralines can also be used in cakes and cookies. They also bring a lovely touch to meringues! 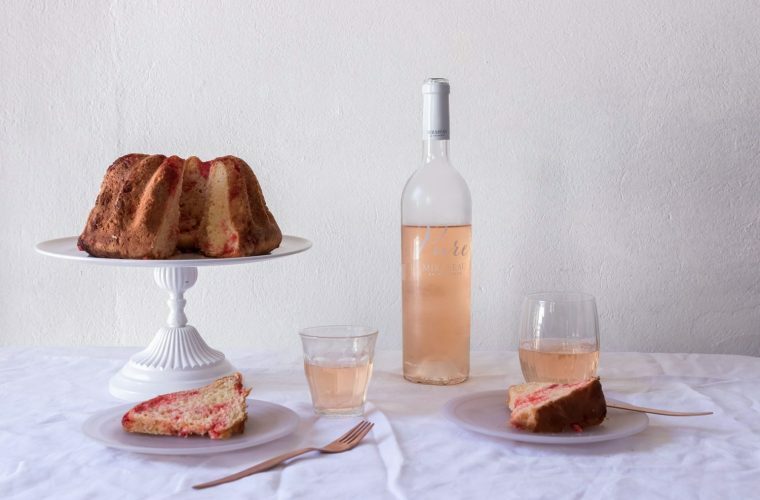 If you’re not planning a trip to France anytime soon, you can find them online or even make your own at home.